The monks of Silverstream Priory are no stranger to the pages of NLM. This new and vibrant Benedictine foundation in Ireland celebrates the Holy Sacrifice of the Mass and the monastic Divine Office in all of their traditional fullness. I was delighted to learn that they have recently launched an online gift shop, which they intend to expand over time. 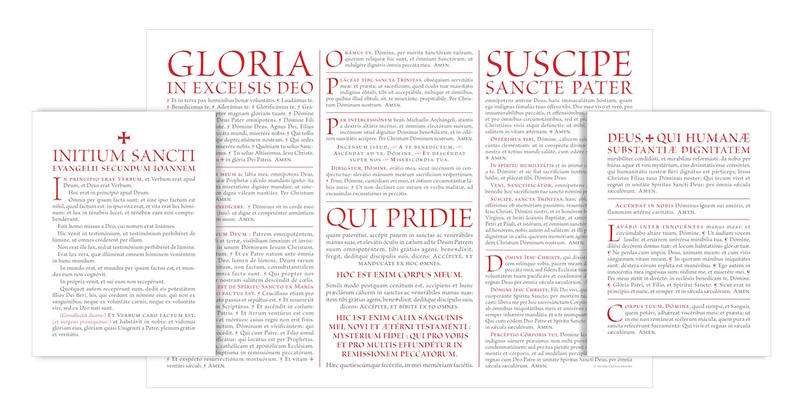 For now, they are selling a beautiful new set of altar cards for the usus antiquior, designed by their own Dom Benedict Andersen and inspired by the so-called "Editio Lacensis” of the Missale Romanum published by the Abbey of Maria Laach in 1931. The set is available (unframed) from the Priory for €23 (including shipping in Ireland), €24 (with shipping in the UK), and €25 (shipping in the rest of the world). 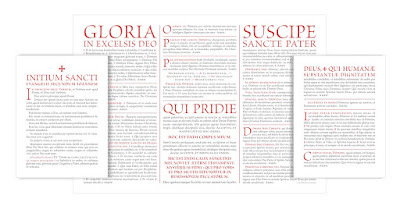 They have also made available their “Prayers at the Foot of the Altar” and a Litany for the Holy Father (which we featured here), printed on nice card stock. In the near future other products will be added, such as Father Prior’s Way of the Cross for Priests, Dom Morin’s book The Ideal of the Monastic Life Found in the Apostolic Age, and various prayer cards. Please give their shop a visit and check it out from time to time.